Distracted by something strange in your neighbourhood last week? 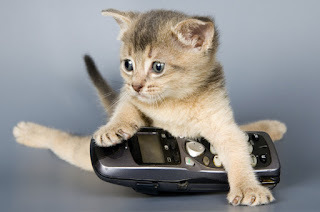 Forgot to read the IPKat with as much attention as usual? Don't worry, the IPKat team can always be relied upon to answer the call for a quick summary: here's the 115th edition of Never Too Late. Book Review: Arnold reviews "Economic Approaches to Intellectual Property"
This new book by Kat Dr Nicola Searle and Martin Brassell provides an introduction to the economics of intellectual property for lawyers, managers and policymakers. The English approach to obviousness - It all depends on the facts? A lively discussion of the English approach to obviousness as applied in the Hospira v Genotech patent revocation application. Darren Smyth says "the insistence on the statutory question as the sole standard for assessing obviousness is welcome as a matter of law, but the multi-factorial and fact-dependent nature of the assessment must make it difficult to predict how an English court will judge the validity of a patent." AIPPI Congress Report 3: Biosimilars – similar but different? Catch up on the AIPPI Pharma panel session dedicated to the burgeoning world of biosimilars. Panellists from Pfizer, Sandoz GmbH and Taiwan's National Yunlin University debated the global regulatory, substitution and interchangeability issues affecting biosimilars, before giving an overview of relevant patent litigation strategies. Thanks to Bristows patent litigator Vanessa Rieu for the story. EPO President Benoit Battistelli stressed the importance of quality and efficiency at the EPO in the face of an increasing quantity and complexity of applications. Report from Baker & Mckenzie LLP's Tanvi Shah. Nicola Searle reports from The European Association of Law & Economics (EALE) conference in Bologna. Roundup post of the week's news and forthcoming events. Ellie Wilson analyses the recently published Opinion by Richard Gordon QC and Tom Pascoe, which says that it is potentially legally possible for the UK to participate in the UPC following Brexit. The Specsavers slogan story, brought to you by law student Kishan Mathy. Iceland, a country famous for the northern lights, skyr yoghurt, and their recent performance in the Euros, has made headlines this week for threatening the trade mark rights of a major UK supermarket. Emma Perot takes up the tale. ChIPs Global Summit Report 3: Congratulations - your patent has been allowed, when is it finally final? The Amerikat summarises the problems of a dual track system from the US perspective. you just read the article about Never Too Late: If you missed the IPKat last week #Nevertoolate and can you bookmark or share with link https://ghchjgv.blogspot.com/2016/09/never-too-late-if-you-missed-ipkat-last_27.html so thank you.